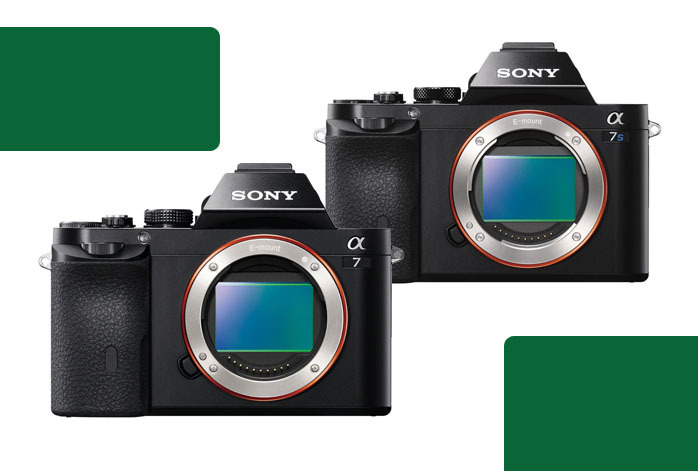 Our previous comparisons of Sony a7, which are against Sony a7II and Sony a7R, are already quite interesting, but this time, the task is even more difficult. This time, we are about to put Sony a7 and Sony a7S against each other. What makes this product comparison difficult is that each of the models have each own strong points and advantages, as well as disadvantages. However, worth a note, Sony a7S is a lot more expensive than Sony a7. The gap can even reach several hundred dollars. Which one should you choose? Let us see! On the other hand, Sony a7S boasts powerful video performance. While Sony a7 is pale with 1920×1080 vids, Sony a7S can record vids in 3840×2160 resolution! Furthermore, Sony a7S features extremely higher maximum ISO, with 409600 of max ISO and 3702 of low-light ISO. Sony a7 only has 25600 max ISO and 2248 low-light ISO. Additionally, Sony a7S also has significantly larger pixel area than Sony a7. These points do not necessarily make Sony a7S’s still images as good as Sony a7, but they certainly boost Sony a7S’s video quality to a very high level. As it can record slow-motion videos as well, Sony a7S is extremely versatile for video recording. It can do well for various purposes, including recording videos in a dark environment as well as perpetuating fast-paced actions and sports. Both models support Wi-Fi. They both have articulating screens, external flash shoes, electronic viewfinders, also microphone and headphone ports. Both have rugged, weather-proof bodies. Choosing between Sony a7 and Sony a7S can be very tricky. If you use your camera often for recording videos, or you require the extremely heightened ISO, you should choose Sony a7S. Otherwise, for the fullest value for your money, Sony a7 should be the way.